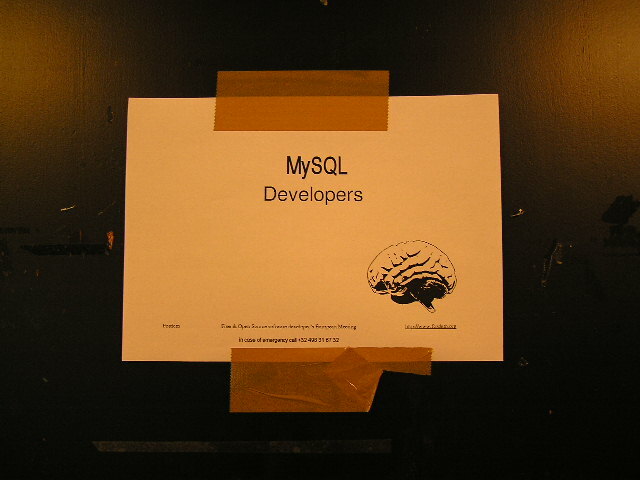 The first MySQL Devroom took place in 2004. David Axmark organized it. Some famous names were present (Monty, Brian Aker, Mikael Ronström, Anthony Curtis, Lars Thalmann, Johan Andersson, Zak Greant, Georg Richter, Guilhem Bichot, Harmut Holzgraefe, … ) and some gave a talk but the schedule has been lost.